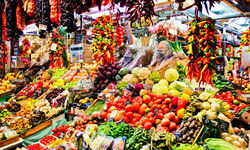 Catalonia's proud, and fiercely independent, identity is well known and has made its way into every aspect of life in Spain's most prosperous region. The area is teeming with history and culture, from the Golden Age (1100 - 1400) to the anti-Franco resistance in the 20th century. Add to that great food, wine, and adventurous activities and you have the perfect spot for a Big Short Break, or longer luxury holiday. 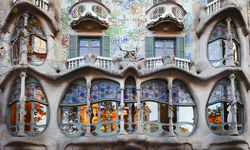 Begin in Barcelona, one of Europe's favourite holiday spots, where the medieval Barrio Gotico butts up against Gaudi's modernist masterpieces - including the Sagrada Familia. One of the most famous churches in the world is tied for the city's most visited spot with, believe it or not, the Camp Nous stadium, home to Barcelona FC. 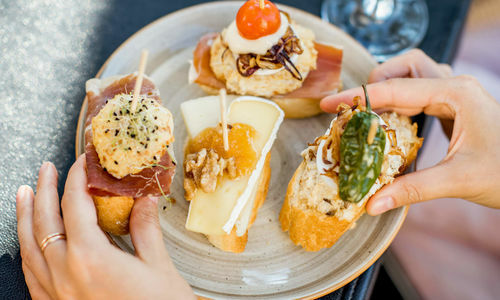 The legendary elBulli may have permanently shuttered its doors, but we know the best guides; most beautiful spots; and, most importantly, the most delicious places to eat tapas and go dancing, to make an excellent luxury city break in our favourite European sea-side city. 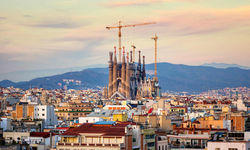 Beyond Barcelona, the region holds an astonishing array of natural beauty; volcanic plains give way to windblown capes, and sandy beaches are bordered by sprawling vineyards. To the north, the Pyrenees tower over the surrounding landscape, providing ample hiking trails which weave between peaceful valleys, Romanesque churches and secluded villages. 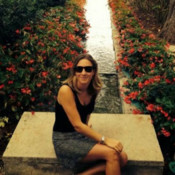 Along the Costa Brava, the best Roman ruins in Spain mingle with the coastline, which appears to alternate seamlessly between wild and woolly and perfectly manicured, and the area positively fizzes with summer fun and fairy tale castles. One of our favourite ways to explore the region is by bike, taking in the spectacular scenery, fantastic food, and (more than a little of) the wonderful wines along the way. 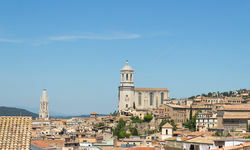 The towns of Girona and Figures are also among Original Travel's favourites; Girona, for its fascinating Jewish history and culinary witchcraft, and Figueres for its gloriously surreal theatre-museum, courtesy of the town's most famous son, Salvador Dali. 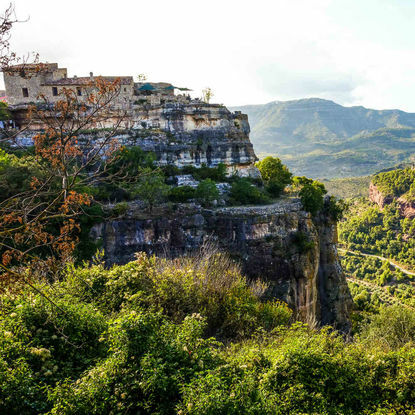 Hike the wine trails of Priorat, a mountainous region in Catalonia best explored on foot. Start your trek at Falset, a town famous for its spring wine festival offering up local fare, wine tastings and classical music. Then take the rural Camins del Vi path to the village of Gratallops, where some of the best wines in Spain are produced, making pitstops at various vineyards along the way. Head to Emporda's medieval villages and towns, ambling along cobbled paths, past charming porticoed houses and Romanesque churches. 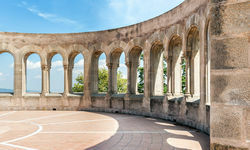 Visit Figueres, the birthplace of Salvador Dali and home to the Dali Theatre Museum where the great surrealist painter is buried in a crypt below the stage. 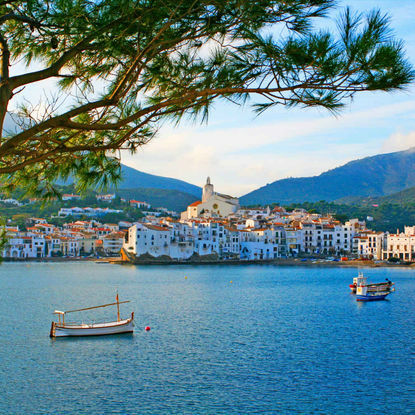 Stop at unspoilt Cadaques with its pretty waterfront and cliff-edge vistas before pausing at Port Lligat, a small village where Dali lived for five decades. Visit the Greco-Roman ruins of the Empuries, an archaeologist's playground, named by UNESCO as one of the most beautiful sites in the world. As you stroll around the sea-facing ancient city of the Emporion, you can still make out intricate mosaics and elaborate ornamentation. 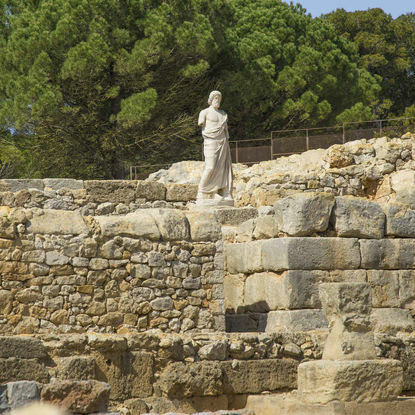 Peruse remnants of the Basilica and magnificent amphitheatre as well as the statue of Aesculapius, over 2,000 years old and the jewel of the Empuries. My highlight: Watching the sun set over the sea with a glass of wine, after a day cycling through the hills and valleys of the Emporda.